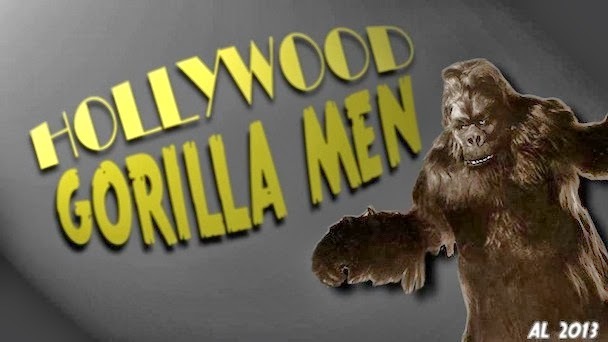 Hollywood Gorilla Men: E-Gors Gorilla Goodies....Tarzan and Munchkin Monkey!!! E-Gors Gorilla Goodies....Tarzan and Munchkin Monkey!!! 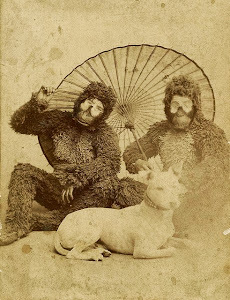 Here is a great example of some of the cool photos our grave-digging friend E-Gor has unearthed . 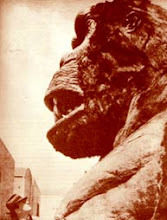 This is very interesting, because all of the apes are "little People". 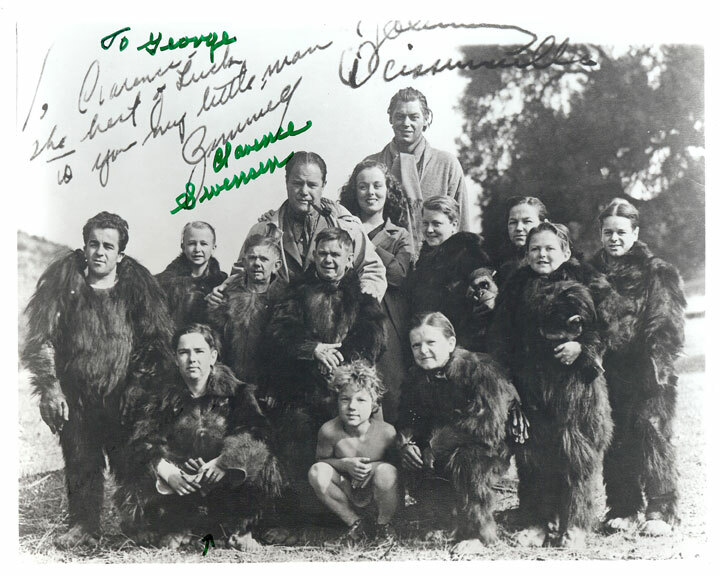 It has been autographed to E-Gor by Clarence Swensen, who is the ape performer kneeling to the left of Johnny Sheffield in the front row, in that gathering. Clarence is best remembered as one of the Munchkin gaurds in the classic, "Wizard of Oz". Also VERY interesting is that the photo was original autographed TO Clarence by Tarzan himself, Johnny Weissmuller! Johnny was, by all accounts, a very nice chap with a refreshing lack of showbiz pretention. An elderly friend of mine's mother was Weismuller's secretary for a time and she tells me she found him to be just a regular guy who enjoyed his celebrity but never lost his sense of fun. 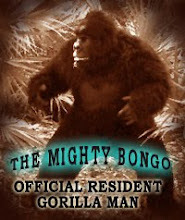 Mr. Pickles....a new gorilla in our midst! E-gor's Gorilla Goodies!.....The Ghost Busters!